I know its technically Fagus sylvatica, but it’s a tricky business getting a funny title out of a scientific bi-nomial. 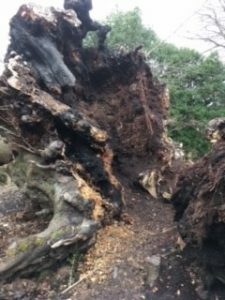 What’s not funny was the poor treatment that the 250 year old Pollok Beech received about one year ago. 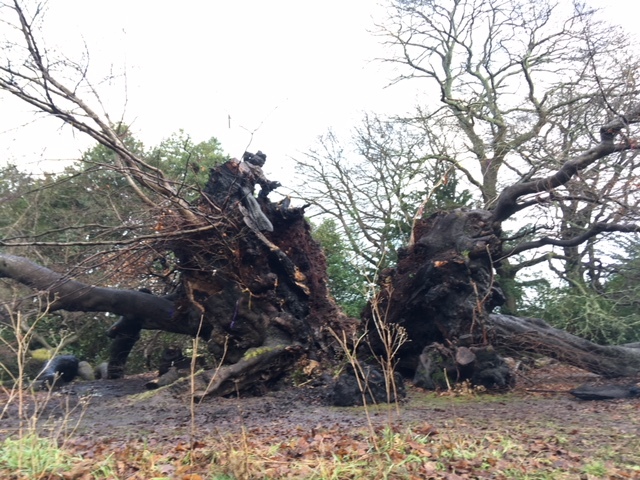 As reported in many papers the Wishing Tree, which featured in Scotland’s 100 Heritage Tree list, was burned out by vandals and despite the best efforts of Pollok staff, Countryside Rangers and Scottish Fire and Rescue the damage was so great the tree split in two. The tree continues to produce some sparse lateral growth and it’s been decided that now is the time of year to attempt some cuttings. 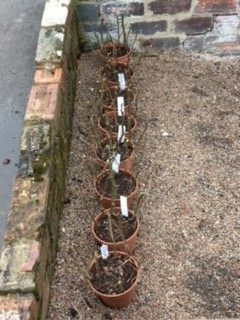 Led by Stevie Jacusz , Botanic’s propagator extraordinaire, an attempt will be made to root about twenty hardwood cuttings just before bud break. 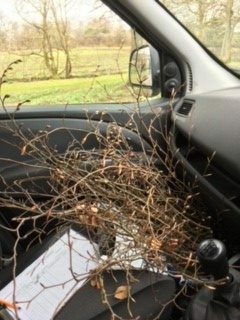 Normally grown from seed, or in the case of coloured or cultivars with unusual form, from grafted material , growing Fagus sylvatica from hardwood cuttings usually has a very poor outcome. 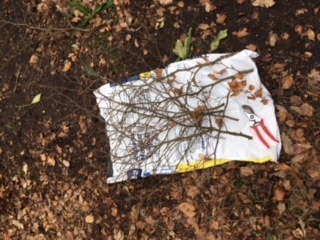 The cuttings are slow to root and then very prone to rotting after their fist winter, probably because the root system has not become fully established. 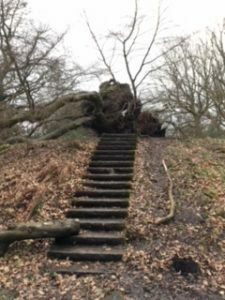 We arrived on site and its clear to see that the tree is in a very poor condition but there is life at the top of the stairs. We were hoping to take hard wood cuttings from both sides of the split trunk just at bud break so timing was everything. 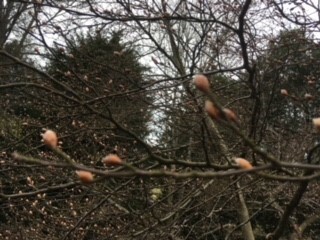 On the side nearest the steps the buds are swollen and ready to go. But at the other side the wood is brittle, no new buds are present and dead leaves still hang from the twigs. Unfortunately, not a good sign. Pretty much a rescue mission now. 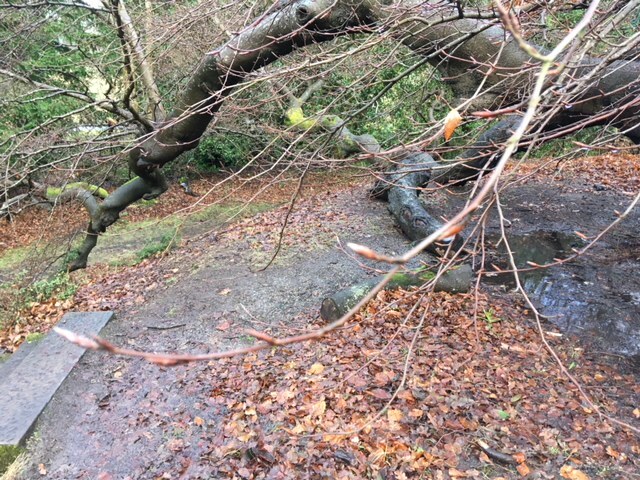 We understand the significance this tree has to many people that visit Pollok Park, so we were very careful not to move or cut any twigs or branches that had messages or wishes attached. We popped them into the tree ambulance and raced (at an appropriate speed for the conditions and with due care) back to Glasgow Botanics. 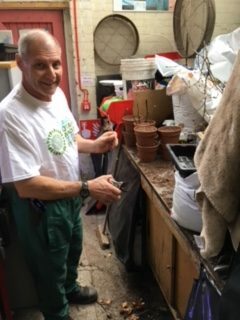 After soaking the material, Stevie is going to strip the buds and create 12 inch basal cuttings and also try some apical cuttings for luck. The cuttings are wounded at the base and then dipped into hormone powder to promote rooting. We are using a fairly loose coir based compost to attempt to root the cuttings, a few secret ingredients are added. 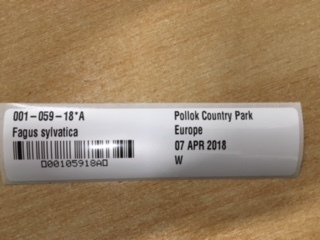 The details are stored in the Botanic Garden database and a new label and barcode are produced. 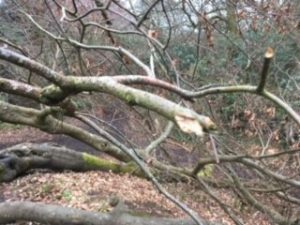 So although reduced from the Pollok Beech , the Wishing Tree down to TREE 001-059-018 we will be able to follow and record the progress. Succeed or fail, it will be a valuable experience. 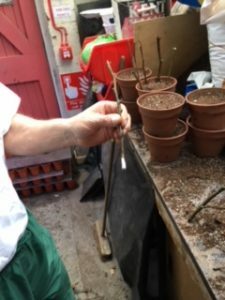 The cuttings are placed round the outside of the pot where there is better compost aeration and where its slightly warmer to promote root growth, it also gives us the maximum space per cutting per pot. 8 pots, with about 6 cuttings a pot, are placed into the outside frames. 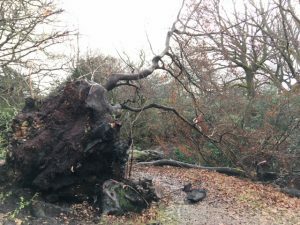 Aljos Farjon ,the Kew Botanic Gardens tree specialist, mentioned in his talk to the Friends of Glasgow Botanic Gardens (November 2017) that burning/vandalism was one of the major threats to our Heritage Trees in urban areas. many councils have taken to caging and boarding up ancient oaks. 48 cuttings in total, we just need one to take. A possible outcome of this rescue mission could be the donation of a new generation of Pollok Wishing Trees to local parks, schools and gardens. We will keep this section updated as we go through the next few years.